Railpictures.ca - Michael Berry Photo: CN 2962 and CN 3012 are the power on CN X106 as it heads east through Dorval. | Railpictures.ca – Canadian Railway Photography – photographie ferroviaire Canadienne. 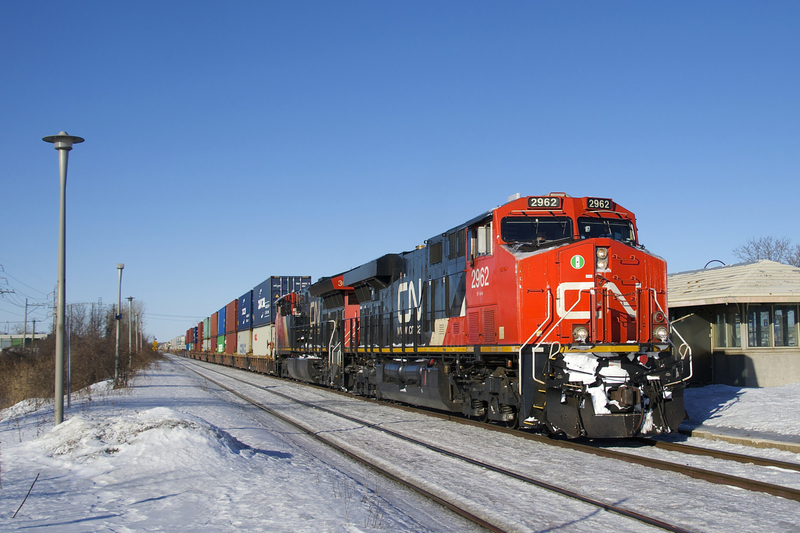 Caption: CN 2962 and CN 3012 are the power on CN X106 as it heads east through Dorval.